Aluminum casting is the process of creating aluminum shapes with a die caster. Die casting is a very commonly used metal shaping process that is used to create metal shapes for use in industrial, commercial and consumer products contexts. Aluminum Casting – Aluminum Die Casting Co. Inc. In industry, metal castings are used extensively; they are used both as manufacturing equipment components as well as in the products produced by manufacturing equipment. The automotive industry in particular makes extensive use of aluminum castings because of aluminum’s heat resistance and durability. Aluminum castings can also be found on aircraft, watercraft, in heating and cooling systems and in many other kinds of equipment. 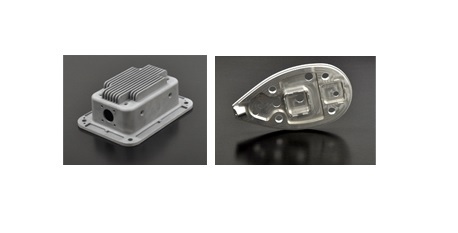 Aluminum die casts are lightweight and feature excellent corrosion resistance, very favorable mechanical properties, high thermal and electrical conductivity and strength at high temperatures. Aluminum alloys possess high dimensional stability compared to other metals, and for this reason they are popular raw materials for castings. Aluminum die castings are commonly used in the production of hardware and tools because of their great resistance to corrosion and high temperatures, as well as their conductivity. In addition, aluminum die castings are used in applications requiring the production of intricate part features and components. Metal casting is a very important industrial process. Many different metal casting processes are used to produce all kinds of industrial products, some of which have become essential to the functionality of many economies throughout the world. Cast aluminum valve covers, for example, are near-ubiquitous engine components that offer high performance despite their low cost and relative ease of production. The concept of metal casting has been put to use for millennia. The earliest known metal casting was produced as early as 3000 B.C.E. Since that time, a wide variety of casting methods have been developed to accommodate the enormous need for cast metal products. Strictly within the context of aluminum castings, there are a few ways in which aluminum can be formed into useful products. Like all other cast metals, aluminum castings are created through a melting and molding process. That processes begins with a collection of raw aluminum, which is pressurized and heated until it becomes molten. The molten aluminum is them forced into a mold. The aluminum forms along the contours of the mold and takes its shape. When it cools and is ejected from the mold, it is a newly cast aluminum product. Because of aluminum’s high melting point, aluminum casting requires higher operating temperatures than do other metals. 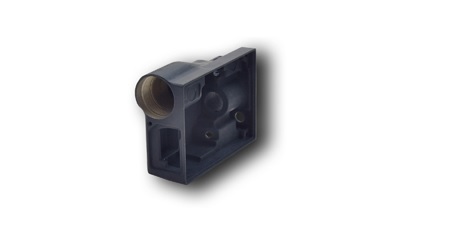 For this reason, cold chamber casting is the only appropriate aluminum die casting method.